If you like your coffee black and strong, you are sure to like the ganoderma 2-in-1 black coffee. 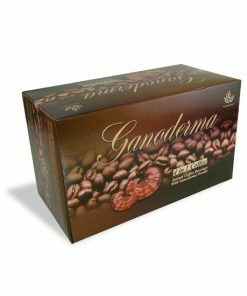 Ganoderma 2-in-1 black coffee combines the great taste you have come to expect from a high end coffee beverage and the perfect blend of Ganoderma Lucidum. Our Ganoderma black coffee has the highest content of ganoderma, 1550 mg per sachet. As a result, Our black coffee with ganoderma is our #1 selling product! Known also as “reishi mushroom” or in Chinese “ling zhi”, ganoderma is one of the most popular medicinal mushrooms. Ganoderma, often called the “Miraculous King of Herbs”, has over 2000 years of documented history. This includes over 400,000 web pages and third party documentation. Make sure to try a delicious box of our ganoderma 2 in 1 black coffee today! Love this coffee! It is smooth, great taste, and my 1st cup in the morning. Try it, you will like it. My wife and I have been drinking Gano for about 25 yrs now, its the best thing to kick start your day in the morning. An excellent and healthy way to have my morning coffee! the benefits of the Ganoderma mushroom are first of all good for my immune system and as a great coffee alternative. I can’t go back to just plain coffee anymore! My first cup of coffee in the morning, so smooth tasting. I would highly recommend. Great morning pick-me-up along with the healthful attributes Ganoderma Lucidum mushroom blend . it’s just the right combination of coffee and mushroom. Smooth & tasty coffee. It’s my first cup in the morning! I would highly recommend. I have been using this wonderful product since a long time ago. I could not have been more excited about it. I have told as many friends as I have about this and many of them are already using the product. Since I’ve been using this product I feel full of energy early in the moring and throughout the day. Even my wife thinks I look younger. I have been drinking this coffee for about 10 years and I love it. It is far less acidic than regular coffee which is great for me because I have Chrohn’s and regular coffee upsets my stomach. My 1st Cup of coffee in the morning! Great smooth taste. I’m all about looking for more natural things to do for your health. You receive it quickly after ordering also. I have been using Ganoderma for a few years now, I have tried a few other brands and have not been happy with them, I keep going back to Ganoderma that speaks for itself! Hello, I have been drinking this coffee for awhile now and I have not had a cold even when my daughter and husband was sick all around me. We take the same vitamins so I tried to figure out what the difference was that I stayed well. It had to be the Ganoderma coffee that kept my immune system strong from getting sick too. I am thrilled and will definitely keep drinking this to stay well this winter !! I buy Ganoderma 2 in 1 coffee for my husband because the brand I used to use was causing too much acid in his system. He loves Ganoderma because he can have 2 cups in the morning without the acid stomach and he loves the flavor. I mix it with milk and some stevia and walla, it is perfect. This is my 1st cup of coffee in the morning! Is so good and smooth. Orders come quickly too. Thank you! Tastes good. Am sleeping better after just 5 days. GANODERMA COFFEE has been best addition to my morning, I suffer from sciatica, having this coffee in the morning offers me relief all day. I’m not a doctor but this coffee was recommend by a neighbor, when I run out I definitely notice a difference, the product is amazing and this company is fantastic. I have been ordering Ganoderma Coffee for a few years now. I order the 4 in 1 coffee that it so convenient to use. Just pour hot water and you are ready for a nice treat. Ganoderma coffee is really good for you it. It has a lot of good health benefits for you. It is much healthier than regular coffee. It gives you a lot of energy for the day. I cannot go without a day having my Ganoderma coffee. I will be ordering this for years to come. I love the Ganoderma 2-1 coffee, I have been drinking it every morning for 10 to 15 years. It was given to me by a friend who sells it in her health food store. I believe it has helped with my immune system, because I rarely have a cold or get sick. Been ordering these products awhile an they are my favorite go to coffee. Good service an worth the $. Recently I was at a women’s herbal conference and reishi mushrooms came up. I commented that I have been drinking Ganoderma 2 in 1 for over 8 years. This person said, “I bet you rarely get sick”. I never thought of that, but it was true. It just might be the reishi mushrooms drink that I have each morning. This company serves me well. Good price, good product, fast delivery. This is the best tasting coffee I have ever had. I love it. It is awesome. It is healthy for you. Its just great. I have been drinking Ganoderma coffee product for several years now. I love the product and the health benefits. I have been ordering from this company for some time. The price is inexpensive compared to some, and orders are received in a timely manner. Knock on wood, I have only had one issue with one of my orders. Thank you! Love this 2 in 1 coffee. I used to drink another, and now this is my favorite. It is so smooth & tastes so good. Thank you Ganoderma. It gives more energy than regular coffee, and I don’t feel the horrible letdown on my mood and energy. Thus, my nervous system is not affected. I love the flavor of coffee and Ganoderma gives me that wonderful taste. Saludos! Muy contenta con mi compra. Gracias por este buen cafÃ© saludable. Seguire comprando. Buen precio. Gracias. We have been drinking the 2 in 1 coffee for the past two months. We have been enjoying the taste! We also love that we do not have the “jitters’ after consuming it! Super easy to take a packet to work….just add hot water! We love how quickly our order is shipped as well. I’ve been drinking Ganoderma 2 in 1 Black Coffee for years now and have never grown tired of it. I like the taste, and the energy it gives me is never too intense or uneven — just a steady high note of alertness with no uncomfortable drop-off. I’ve compared it against one other product I’m aware of in this space and it is far superior. Go Gano!! I Love Ganoderma coffee. It’s healthy, is smooth, tastes good & No bitter aftertaste. Give it a try! This is the BEST coffee!! Easy to order and fast delivery. I purchased this for my daughter who has Interstitial Cystitis and cannot have caffeine. She can have this as a very close substitute for coffee. We have always received good quality product when purchasing. I recently purchased my second box of Ganderma Coffee/Black. I had been searching for a replacement for my morning cup of coffee as all the brands, from Folgers to Maxwell House to Starbucks had become bitter to my taste and left me with caffeine high headaches and sour stomach!! After purchasing the first box, I could tell this was my answer! I enjoy the rich taste and have no nasty side effects. That feeling of “babies foot under my rib” has ceased. Great product at a great price. I share with all my friends. Best coffee ever better than caffeine I’ve enjoyed this product for s long time. I love this coffee. I went without for a while and I started getting sick. It really boost my immune system. I like the coffee because I do not get indigestion and I like the taste. Best coffee ever caffeine in other coffees bother my breast but this coffee I can drink everyday and will not have that problem. I have enjoyed the benefits of ganoderma mushrooms for several years now. Since I drink coffee any way, I might as well be drinking healthier coffee. I find that I do not get heart burn from the ganoderma coffee. Thank you! Ganoderma coffee health benefits are tremendous. Specially for immune system. We have been drinking this coffee for several years. We love this product, delicious taste and excellent service from the company. Best coffee ever great for women That have problems with caffeine and their breast. This was not a favorite one, will probably use a creamer in it as it was kind of strong. I do not like strong coffee. Best coffee ever. Recommend this for those who have problems with caffeine bothering there breast. I have been using this product for some time now. I enjoy the benefits of the mushroom and I do not get heart burn with the Ganoderma coffee. Thank you! Delicious Ganoderma 2-1 coffee…..Nothing better than a nice hot cup of coffee that is also healthy for me!!! My first experience with ganoderma mushroom infused coffee was with a MLM company. The benefits I received from this mushroom for me are no heartburn, more energy, less stress accompanied with an “inner calm” that is hard to explain. The original ganoderma infused coffee I tried was extremely tasty, and I had never been an instant coffee drinker. This product compares about 95% in taste. However, compared with price the original is twice as expensive, and you are not strapped to a monthly sales commitment with this product. Thank you, because I do like the benefits of the product. I find ganoderma coffee to be a refreshing afternoon break. I enjoy a cup at least 4 times a week. I have not noticed any overt health changes but I got through this last winter without flu or colds. I will continue to enjoy my afternoon break and yes, I recommend this product to coffee drinkers. Better than tea, better than coffee. Couldn’t live without it! I recently ordered your 2 in 1 coffee and have truly enjoyed it’s rich taste. I have noticed how smooth it is to the palate in comparison to another brand I use to purchase. I can also tell you that I feel more energized and alert and I have been sleeping a whole lot sounder than before. Also, I must say this coffee is sooooo much more affordable than the other high price healthy coffee’s that are on the market that some of my friends wanted me to buy. Now I have my 87 year old mother who just moved in with us drinking and loving this coffee we both drink everyday, she feels it is helping with many of her health issues, that’s why I am ordering more coffee today, we don’t want to run low. Thanks for all you do in keeping this healthy coffee affordable to the masses. BEST COFFEE IN THE WORLDgreat deals and fast service. I recommend this for every coffee lover. My husband and I have been enjoying Ganoderma for about a year now. We enjoy the flavor of the 2 in 1 Black Coffee and are happy to substitute it for regular coffee. The biggest reason we switched to Ganoderma was to diminish the amount of caffeine intake while still enjoying a warm coffee beverage. We are happy customers! I can not continue to praise ganodermacoffee’s if you are a women and the caffeine in regular coffee makes your breast tender and painful then this is the coffee for you. Great tasting and very inexspencive. Try all I can gauntee you will be pleased I thought I was never going to be able to have my coffee everyday until I tried ganodermacoffee’s. I work a night shift and love the convenience of taking a packet or two with me. It really feel like I have more energy when I drink Ganoderma coffee vs. plain coffee and it tastes great! I like to drink Ganoderma coffe because is tasty and healthy . I like the individual package in which they come which helps it keep fresh and price is excellent. I recently bought the Ganoderma 2 in 1 Black Coffee. I love the convenience of being able to take a packet with me to work. I work a night shift and I find that one cup gives me more energy and clarity than a plain cup of coffee. Ordering is easy & the product is delivered quickly. I love this product & will be ordering more in the near future! I love Ganoderma coffee! It does not raise my blood pressure, make me crabby, dizzy, or shaky like other coffee does, yet still manages to wake me up and make me feel great for the day! I find I only need one cup in the morning instead of the 4-6 cups I needed of regular coffee, too. I have Lyme Disease-induced ALS and this is the only coffee that I find healing and soothing to me. I didn’t have to give up my coffee in the morning! The ONLY improvement they could make is to offer a Hazelnut version of the 4-in-1. That would be delightful! I started drinking Ganoderma about 3 months ago after having abdominal surgery. I have always loved coffee but it aggravated my acid reflux. A friend brought me a box of Ganoderma after my surgery and asked me to try it. It was different at first but the more I drank it the more I liked it. Then when I tried regular coffee again it did not taste good to me. I then started ordering it myself and am hooked. I love it and it does not bother my acid reflux. It’s amazing! Hi.I would like to inform that I bought ganoderma coffe two in one and few days that I have been drinking so happy.I feel more energy and good mood that it benefit me a lot to have a good performance in my job.I really recomend it. I was frantically looking for a company that sells Ganoderma Coffee and my search lead me here. I am very fortunate with the results of the search because it opened a product line with more than just the coffee! Customer Service has been excellent, the Ganoderma Coffee is very beneficial – excellent tasting, and the shipping process has been beyond belief! This company will remain in my Favorites List and when I need to purchase Ganoderma Coffee it will be with GanodermaCoffee.com! I’m always satisfied from the moment I order Gano. As I can typically wait for the last moment to reorder, I am thrilled that my order is mailed and received promptly. I thoroughly enjoy the taste which keeps me coming back for more. I have been a satisfied customer of Ganoderma coffee for many many years 🙂 thank you! I’m happy with the products, and I recommend to everyone. My name is Ted and I have COPD, Ganoderma coffee gives me more energy every morning and helps me breathe better through the day. Love the coffee…and it doesn’t hurt my stomach!!!! Out of all of ganodermacoffee’s coffees this is my first choice it is rich and bold at the same time. And I can tell the differance between store bought and yours because my breast does not hurt when I’m drinking your coffee. i have only used the ganoderma black coffee and i have found that it is remarkable. i was diagnosed with vitiligio or vitiligo several years ago and was told there was no cure or remedy for it. i had to start using makeup to cover the white spots that appeared, mostly on my face. i am latino so my skin is brown; the spots where more than apparent. the spots continued to appear, specifically around my mounth, on my forehead and my cheeks. i tried everything that people would tell me to try. i did not started to drink the coffee with ganoderma because of vitiligo at all. i did not even think that it would help at all. after approximately drinking a cup of coffee with ganoderma every morning the spots had completely disappeared and did not come back. i ordered this time because a friend has a terrible problem with a type of acne that is very difficult to cure and i suggested ganoderma to see what happens. that is my story. This product is awesome had been using this Coffee for years because it had help me while studying through my college years and now helping me to be alert and positive at work. We love Ganoderma! We’ve been drinking it for about 10 years, ever since it helped my husband get his energy back from Valley Fever. It has a great taste and we always get it from Evin because of the great service. Thanks Evin, for a great product and great service! GREAT STUFF! wold reccomend all gano products 2 every 1 ! Ganoderma 2 in 1 is my favorite go-to in the morning. I truly believe I have increased energy and have been able to “get going” easier. Also, notice the difference when I can’t grab a cup of Gano first thing in the A.M. This is an amazing coffee with great health benefits! And you can even drink it at night without worrying about it keeping you up! I love it and keep it stocked! Best coffee ever great for gifts and vert reasonable. Told all my friends and family. Very good product that I enjoy in coffee, hot cocoa, etc.! I start my day every morning with my Ganoderma Coffee. I start with 1 Sachet of Ganoderma Coffee, add about a quarter of a Sachet of the Ganoderma Chocolate, 1 heaping tsp. of Fiber, 1 packet of Truvia and my day is on it’s way. Feels great at going on 80 years of age. I love the 2and1 black coffee. I’ve been a coffee drinker my whole life, had to give up caffine do to a racing heart 🙂 after drinking the gano coffee for several years now, I don’t miss coffee at all. Very happy to find this product I have one in the morning and I am very satisfied. I have been enjoying the 2-in-1 black Ganoderma coffee each morning. I look forward to waking up to have it. I like to add honey and soy creamer to the drink and I also enjoy the mild flavor. It never makes me feel jittery and I add a little less hot water to give it a fuller flavor. It is a quality drink that helps me stay healthy and strong. Great tasting coffee and as a great bonus it doesnt cause me heartburn like other coffee. I love the taste of ganoderma coffee.it has a smooth taste, not bitter. It gives me energy. And i think it helps with my arthritis pain. I purchase Ganoderma Coffee for my husband who has Celiac Disease and digestive problems. Regular coffee was too acidy and he found someone who told him about your coffee. Since trying it we have reordered at least three times. He can now enjoy his morning coffee without any side effects. I have really gotten hooked on this coffee. I usually cannot drink coffee black but this one I can. We don’t like strong coffee so using our Keurig I process a 12 oz serving of water twice for one sachet. I also enjoy adding 1 sachet of Ganoderma Coffee to my Hills Bros Sugar Free Cappuccino mix. For this I use only 12 oz of water. The cappuccino certainly tastes of something missing without the Ganoderma Coffee. Thanks for such a good product at an affordable price. I love this stuff, I’m almost lost without it, Regular coffee upsets my stomach, but this does not. I have had problems with the shipping in the past though. I love the taste and health benefits from your coffee, I will continue to order it especially while I am going THROUGH my situation with cancer. Thank you for your product! I found that this coffee helps a lot people that suffers from constipation, it also helps me with my migraines, it is awesome, i trully recomended to my friends. I order Ganoderma for my husband who has celiac disease and digestive issues. He cannot drink regular coffee because of the acidity. He now enjoys his morning coffee whith no side effects. So glad we found your company; I will continue to order your great product. Great coffee, and very convenient. Tastes like standard premium coffee without the exuberant price. I am somewhat familiar with the benefits of mushrooms; the energy they provide and the anti-inflammatory properties. Learning more can help me in my quest to exhibit healthy behaviors. Using the product can be a first line testimony of its benefits. The Ganoderma coffee definitely boosts my energy. Regular caffeine coffee used in the same scenario does not provide the same effect. Ganoderma coffee has a better taste than my regular caffeine coffee. I would highly recommend ganoderma 2 in 1 to anyone needing a quick boost of energy early in the morning. Taste is also great. I have been using it about a month now and love it. My husband loves this product. He has lots of health issues the past year including finally knowing he has celiac disease. He has other stomach issues and regular coffee was bothering him also. He is now able to enjoy his “coffee” in the morning! It gives him no stomach distress and is able to feel he can have his coffee in the morning. I can’t say enough about the Ganoderma 2n1 Black coffee. We really enjoy it and I am trying to get my friends to try it. Being skeptics I am going to share with them your information articles as to why this coffee is so good for you. Thanks again for the great product. I find this product very good, the aroma, taste and it make me feel great…. Been ordering this coffee for years…wont drink anything else! If I ever run out before my next shipment and have to drink something else I can immediately tell the difference in how I feel. Just not worth running out! This is real good. I’m 6 years with this product. I recommended. I love to start my day with my Ganoderma Coffee. Flavorful,smooth and easy to use. I started drinking Ganoderma coffee after my brother in law from Houston. TX let me and my husband try some. I was diagnosed with Lupus in 2003 and had a number of problems I started drinking this coffee along with red panax ginseng and green tea. My Lupus went into remission. My mom is 72 and was diagnosed with multiple myloma cancer I bought some coffee for her and the ginseng and green tea, her cancer is in remission until this very day. We both saw our Dr’s but I know that the herbal drinks helped heal both of us. But most of all we had faith that God would use the herbal remedies to heal us! Amen! I love this coffee. It’s easy to make, easy to take with you, and has a nice strong flavor. It also appears to be helping my psoriasis! This coffee is easy to use as it comes in individual servings and the unit price is very reasonable. I have found the coffee to be tasteful as it comes from the package or with creamer added. I am totally pleased with my purchase of Ganoderma Coffee. For me it required adding a sweetener and milk to it. That made it really tasty. I had earlier bought some at a Health Food store which had sugar and a nondairy creamer. This was very delcious. I decided to order the coffee black because of the sugar. I think that was the best choice for me. Let’s put it this way. I really like this coffee, that is why I have placed several orders in the past and will continue to do so in the future. Enjoy a cup today. I have been using Ganoderma coffee products for more than 4 years. I really love this brand of coffee not only for its medicinal purposes, but also for its value and taste. I am never displeased and I appreciate the convenience of ordering online. I tell all my friends and I give them samples of my coffee to convince them to also buy Ganoderma. I have had migraine headaches for many, many years. I know coffee is a trigger, and finally cut it out totally, and they did get much better. I started back with a cup of coffee about 3 times a week, and it was OK, then that led to daily coffee, and the headaches returned. As an experiment, I tried drinking ONLY ganoderma coffee, once or twice a day, and found that the headaches stopped again. It has been my “special treat” coffee for over a year now, but has turned into my only coffee. Not only does it taste better than regular coffee, but now I see that it actually is better for you. This coffee is so far the most amazing coffee i have ever tasted before, it gives you amazing energy and helps you ease your stomach. Product does NOT list Ganaderma content! Since tthe amount of spores is vital to those of us living a healthy lofestyle, this is a problem. For this reason, I will not reorder any products from this company. Response to Dennis: The amount is 1550 mg per sachet of ganoderma powder. I had tried this coffee at a restaurant and enjoyed it so much I made a small order – it was instant. It did have the same flavor as the coffee at the restaurant which is smooth with a little earthy taste. It was what I had expected to receive and am quite enjoying it. I would recommend this coffee to anyone that needs more energy. When drinking Ganoderma Coffee I seem to have lots more energy. The taste is good. I aslo tried the Tongkat Ali Coffee, its really good and smooth. The black coffee is tastes great and the effects are unbelievable. If you are looking to lose weight there are very few calories in this coffee!!!! I’ve been using Ganoderma Lucidum enhanced coffee for about 4 years and look forward to drinking it every day! I like the taste especially when I add honey and some soy or coconut creamer or half&half to it. Previously I used a coffee that had the extract rather than the powder, but I barely notice the difference. I’ve been getting the 3-in-1 for my parents and they prefer it when they add real milk to it too. I am also going to try the Avarle Healthy Coffee and compare that. I am pleased with the great website and excellent customer care. I started using the coffee two years ago because it doesn’t bother my stomach as I have a hiatal hernia with reflux. I also enjoy the health benefits so much I shared it with my fitness/yoga instructor. She tried it and ordered some right away. Now everyone in class is asking about the “mushroom” coffee. I’m sharing samples with them this week. I hope they all enjoy it as much as I do. I really like this product, there are so few selections that include the mushroom, very good! This is AJ Watkins out here in Las Vegas, Nevada. I was once with a firm that sells ganoderma coffee and I did not like their marketing strategies. I had far better ideas that worked but they would not allow me to use them. So I quit dealing with them and found this lovely website and became a customer. When I received my first shipment of ganoderma coffee, I immediately got excited and wanted to get back into good health and spirits. I made a cup that night and then the second cup the next morning. I was elated to find the exact same taste in the product. However, I could get this great coffee from this website without all of the drama. This product WORKS. My migraine headaches stopped immediately. I felt energized beyond the old energy drinks and full alert. My blood pressure came back down to 117/78 vices 135/80 and I recover much faster after workouts. I have spaced it out to take a cup before my workout and then after cool down and a shower, I relax and take the second cup about 7 hours later before work. I can honestly say that I did not waste my investment and I wish this company in Dallas much success and prosperity. I will recommend it to anyone I meet because it is an awesome mushroom product and the biggest bonus is THERE ARE NO SIDE AFFECTS. You are the best with a timely shipping system too. I think the Ganoderma coffee is great. I’ve heard great things about it and I’m enjoying the smoothness & it being instant. I don’t have to have a coffee pot, and easy to travel with so i don’t miss a day! It’s easy to fix & love the health benefits you can get from it! just realizing the “Wellness Revolution ” this Herbal Coffee has been offering to me just lately in this yeare’s “Flu Season”!!!! I recently placed an order for the Ganoderma Coffee and mistakenly ordered the product with the cream -I contacted the company and they said there would be no problem to return the order and replace it with the correct coffee. The return went well although it would have been nice if they had paid for the shipping. My husband and I have been enjoying the coffee for about 3 years and don’t miss a day without our wake-up beverage. I enjoy this coffee very much. It gives me lots of energy and it does not have bad effects. I try to eat as natural as possible and enjoy the food at the same time. This coffee is Great! Just had my first cup of coffee, was impressed with the taste, the smooth flavor, and am hoping for some healthy benifits such weight loss. My brother has had great success. I drink the 2 in 1 Black Coffee with Ganoderma powder. I look forward to drinking my coffee everyday and feel great! I like the fact that it is instant and that I don’t have to brew my coffee or use a fancy machine. Who knew coffee could have some health benefits as well! I WAS ONCE ON 28 MED’S, BUT SINCE I HAVE BEEN DRINK THE COFFEE I AM NOT AS SICK AS I HAVE BEEN WITH MY CONDITION. I HAVE PASSED IT ON TO OTHERS , A GENTLENMAN WHO HAD HIGH BLOOD PRESSURE(210/100) FOR 20 YEARS NOW HIS PRESSURE IS DOWN. ANOTHER LADY WAS HAVING PROBLEM WITH DIABETES, HER BLOOD SUGAR IS GOING DOWN MORE AND MORE. IT HAS HELP ALL OF US ALOT. The high amount of antioxidants in the Ganoderma mushroom strengthens the immune system, enabling it to fight viruses and bacteria. These properties can also lower high blood pressure, stimulate the liver, alleviate lung problems, and support the circulatory and respiratory systems. Elements in Gandomera coffee can strengthen the flow of oxygen in the body, which can increase energy, vigor and reduce stress without the side effects of caffeine. This promotes feelings of well-being, which can have a positive effect on mental health problems and depression. 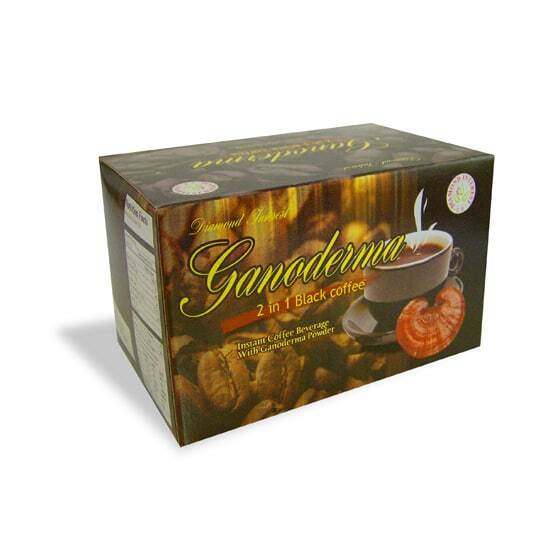 Ganoderma coffee has qualities that improve memory, reduce tension and sharpen concentration. Many of its properties are used in treatment of degenerative diseases, such as Alzheimer’s and dementia. Ganoderma coffee is used in cosmetics to correct imperfections on the face, such as acne, scarring and lines, and to repair damage from the sun. Consuming a cup of Ganoderma coffee can also help the skin retain its moisture and appear dewy and supple. Ganoderma coffee contains calming properties that ease stress and can promote a restful night of sleep. Great flavor is great and no caffeine withdrawal!!! I am pleased with Ganoderma coffee but not with the security services provided in the web site. My bank account was hacked when I did the purchase of your coffee. That is a big dissapointment since this is the first time in the many years I’ve been purchasing through Internet. Hope you fix that problem. We love this coffee excellent for energy and help you manage your weight also,I entirely recomend this product too. This Coffee is amazing. I have been drinking it for quite sometime but I could not afford the prices through other outlets. I was looking for something that would not get me overcharged yet give me a feeling of well being. It helps me in so many ways I cannot begin to add them up. I just feel great. I can rest at night and I awake in the mornings feeling refreshed. Thanks for making this product available for an affordable price. This is the best coffee in the world i live in Michigan a all venders here that offer the same coffee want to charge triple your price. Thanks for being so good and reasonable. Gano Coffee is my favorite….The taste the aroma, that comes in a small package..is perfect….. This cofee is the best you can drink. I drop 10 pounds,my blood sugar is normal now,and my cholesterol is normal. Thanks . My husband and I love the Gano 2-in-1 coffee! It is great for the both of us because we are very sensitive to large amounts of caffeine. It tastes great…. just like “regular” coffee. We also love the added benefit of the antioxidants! We can take it with us wherever we go and have a cup of coffee whenever we want! I am an avid coffee drinker and my nutritionist recommended this coffee as a healthier alternate. I have been drinking it regularly and really enjoy it. The taste is good, but the biggest benefit I’ve had is sleeping through the night. I can drink the Ganoderma coffee during the day, and the minute my head hits the pillow I am out until my alarm goes off in the morning. I feel rested and refreshed. I now recommend this coffee to all of my coworkers, friends and family. This is the best coffee I have ever had , mix just the way you wanted ,I love it. So far it is good coffee I even stop driking the regular coffe tha I use to buy. Is worth the money. This is the best tasting instant coffee that I have ever had the opportunity to drink. It has a rich coffee flavor that is not overwhelming. It has a very smooth coffee. I also ordered the tea, and served it to some of my family. I have been drinkg Ganoderma coffee for a couple of years now and will not go without it. It is so easy to prepare and gives you energy even if you didn’t have a full 7 or 8 hours of sleep. This is a very healthy coffee. No side effects, it has natural ingredients. I recommend this to everyone who loves coffee. You can also add cream and sugar to this beverage. Great coffee I was having problems with my chest hurting and my doctor told me it was from caffeine in my coffee so I switched to ganoderma and I have not had any problems since. I used to drink a glass of Iced coffee everyday and thought I could not live without it. A friend told me about Ganoderma so I did some research and ended up on this site. I began drinking it and I tell ya I feel amazing. My skin has never looked better and I am 60 years young. My own sister, who is 40, told me I look her age and asked what I was doing. I even stopped wearing makeup. People in the office are constantly getting sick and I am very healthy and my energy level is off the charts. Nothing could ever stop me from drinking this product. I recommend it to everyone. I thank you for being here. I love this product!! The reasons I do: the energy is natural, my nails grow strong and beautiful, it’s good for me, and it’s affordable. I can’t recall all the reasons that the rishi mushroom is good for you, but I know it is! I purchased this item as Gift for my Sister who is a Cancer Patient. With onging Chemotherapy, she is not always able to swollow pills, so the next best thing is drinking your way to better health with the best tasting Healthy Coffee on the market. I spoke with her yesterday-she is loving her Gift!!! I also purchased this item for myself and must say that this is by far the Best and My Favorite of the Ganoderma Coffee Items I purchased with Cafe Avarle running a close second. We simply Love the 2 and 1. !! My mom calls it her “pick me up “. It has a great strong flavor but doesn’t have that jittery feeling that I’ve had too much caffeine. Great product! I was sceptical of trying any product to replace my morning cup of coffee, and I was certain that my husband wouldn’t be impressed with a change. How surprised and delighted we are with GanoDerma coffee. We like the 2-1 coffee and we thoroughly enjoy the flavor. I had been feeling overly tired for 4 months, taking naps everyday and still not having the vitality I have always enjoyed. Since drinking GanoDerma coffee for one month, I am happy to say that I no longer need to take a nap during my lunch hour at work, or on the weekends! I feel refreshed and invigorated. My stamina is back, and I feel clear-headed and mentally sharp again as well. I also enjoy the tea. I just love the flavor. 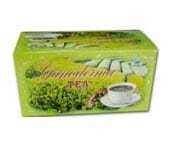 I recommend GanoDerma coffee and tea to anyone who enjoys a hot cup, or a refreshing glass of tea, anytime! Ganoderma 2 in 1 Coffee gives me the pickup I need in the morning without the “jitters” I get from regular coffee and when I get really busy and forget to order before I run out, I don’t get a headache like I do with regular coffee withdrawal. I find the ganoderma coffee to be very up lifting and tasty. There’s no other substitute that can compete with this product for as I’m concern. Since I’ve started drinking Ganoderma I feel better within myself every day is improvement. BTW, I know of no other Gano coffee that is this effective ! I have been drinking Ganoderma black coffee for a long time. I love how it makes me feel…awake and alert without the jittery feeling of caffeine. I recently fasted from my gano coffee for about 4 days. I have to tell you, I really noticed a difference! I did not have any headaches or anything like that, but I just felt lethargic and fuzzy. I realized when I drink gano, the antioxidants really affect me in a real, positive way. I love the taste and can now hardly drink regular coffee. THe aftertaste is so strong and my breath so bad it makes drinking regular coffee not enjoyable. I will drink ganodermana coffee for the rest of my life. Thanks for providing it for us. I love Ganoderma Black Coffee. I never liked black coffee but this is one black coffee I can drink. The taste is smoth. I add a litte honey and it is wonderful. Thank you for a black coffe I can enjoy! I have recently been advised by my nutritional consultant to get off of coffee and remove caffeine from my diet due to adrenal fatigue. I switched to the Ganoderma 2 in 1 and absolutely love it! Although it does have caffeine in it it is minimal compared to regular coffee and the mushroom counteracts a lot of the side effects of caffeine. I love the rich smooth flavor and the little pick up I get from it. ganoderma is the best every time i dring one or to or tree cup a day its tast good has health benifets i can cary it whit me any where I like the taste the smel of it I tride other coffee to me ganoderma was the best and olso hoodia coffee you can find hot water any where al you need is the right coffee I drive taxi cab and drinking Ganoderma coffee keeps me going i cary it whit me every where so don’t forget take it whit you . I truely enjoy the ganoderma balck coffee. Since i have been drinking the coffee the enflamation in my ankles and knees have gone away. I used to not sleep well because of the pain in my knees. Now i sleep like a baby. The taste of the ganoderma black coffee is much better than the hign dollar instant coffee i have tried in the past. I love the easiness of taking it with me where ever i go . The single packets are a joy . There is no lugging around a jar of coffee to work . The ganoderma coffee actually tastes way better than the coffee my coworkers have to drink. I drink it three times a day. I actually have gotten to crave it . I would recommend it to anybody. I like how i can add my own flavored creamers. ganoderma coffee is the best. I was surprised that this coffee came in a powder form. I was expecting more of a tea bag like packet that would have to steep in hot water. I actually preferred the powder and it dissolves easily in boiling water. The flavor is great with little to no bitter after taste. I also ordered the Green Tea and it is also delicious; however, I prefer the flavor of the coffee and will be ordering it again. Not only was the customer service very good but the ganoderma coffee was even better. I DID in fact feel the energy and some of the medicinal health benefits for cleansing that review site talked about. Good product, good service and good prices too. I would definitely buy again. I can´t have enough of it ! I absolutely LOVE this coffee (as you can tell by my orders)! I buy 4 or 5 boxes of this coffee every few months. I have tried lots of the other different types of coffee you sell, and they are all good, but I ALWAYS come back to this one! The best part about Gano coffee is the health benefits. You can’t buy another coffee on the market that is “healthy” for you, but this one has so many benefits, it’s great! It energizes me when I need it. I add a little nonfat creamer (such as Italian Sweet Creme or White Chocolate Caramel Latte), makes it even better! As long as you keep making this coffee, I will be a faithful customer! Thank you! I’ve been drinking the Ganoderma coffee for a few months, and I like it more and more. It has such an appealing flavor – it’s coffee, only better!! I’ve tried a few brands, and this is by far the best value and the best tasting. I’ve paid more for other coffees with Ganoderma, but didn’t like them as much. When I called for information about the products the person that answered the phone was very helpful and answered all of my questions. I then went to the website and placed my order for the Ganoderma coffe, cocoa and the samples. To my amazement it arrived in just 2 days. The product is great tasting and so far so good. The price is much more reasonable than the other products that I have tried and is just as good if not better. Will be ordering again soon. I have used ganoderma coffee for years now. My first experience with ganoderma, was when I was trying to get my energy back from being in bed for three months with valley fever. I had tried everything out there from vitamins to all the new wonder juices on the market and nothing. Then a friend recommended that I try ganoderma. I had almost given up, he gave me three packets of the coffee and I was back with energy to spare. I will, and have recommended ganoderma to many people and not one complaint only happy customers. It is much less expensive than other sites I have visited. The flavor is bold yet smooth. Very good with a little creamer. I dont like sugar in my coffee. Enough in a packet to make a strong cup or divide it and get 2 cups if you like your coffee a little weaker. Excellent flavor and a good value. I have been drinking the coffee with half and half for a few years since my sister introduced me to it. Recently, I thought I would stop drinking it to eliminate the half and half. However, I recently learned that half and half is better with your morning coffee since it does not spike insulin levels. I also refreshed my knowledge of the benefits of Ganoderma coffee and have decided to continue drinking it. I use half a packet for each cup of coffee with half and half. It is delicious! It compliments my daily supplements nicely to regulate my digestive system and gives me a boost of energy in the morning. I am so happy I have decided to continue using this product. I highly recommend it! I LOVE this coffee. Even though I’ve been a coffee drinker for many years, I usually don’t have coffee before I get to work. Now, I can’t wait to have a cup of the Ganoderma in the mornings as I’m getting ready. Some days, the thought of having the coffee will actually get me out of the bed (I tend not to be a morning person). The taste is somehow different from any other coffee I know of – I don’t know how to describe it, but it’s more satisfying than drinking “regular” coffee. Very rich in flavor, but not overly strong at all. I’m very picky about coffee, and before tasting this, wouldn’t drink instant coffee – one sip and I knew it was instant and not worth drinking. The Ganoderma is so good, that my ground coffee isn’t getting used much now, because I just don’t care for it like I used to. I’ve found something better. It’s also wonderful that every time I’ve ordered, the shipment has gone out that day – I have always received the coffee within 3 days of ordering. Since I have been drinking this coffee my sinus and allergy is 100% better. I don’t take any medication for this. My cholesterol has even gotten better I would highly recommend this. I LOVE this product! It’s so easy and convenient especially on the go. Not to mention its delicious. I’ll never use any other kind of coffee in my home! I love ganoderma coffee! I am not a coffee drinker at all but I actually like this coffee. I drink it in the evening after I have ate all my meals. This product really works! You feel the effectiveness right away. I am completely satisfied with the product and the price is just right. I have also tried Ganoderma Cocoa and it is great, too. I recommend this product. I’ve been drinking this product now for 10 days. I must say I don’t miss my morning coffee at all. I don’t feel tired at the end of my work day either. I did notice that I began breaking out on my face and did some more research on the product. I read that this is actually a good thing and that the toxins in my body were being cleansed. I do plan on making this a part of my daily routine. I am not a coffee drinker. I am a Ganoderma Green Tea drinker….but I really like this coffee! I am drinking this product for 6 months and I have noticed that this product has imporved my energy and helps with my daily headaches. I do believe, day by day, the result will be much better. I love the coffee but is there any way the corner can be perforated so when I open it I don’t waste it. This coffe it’s the better thing happened to me! Great shoot of energy in my busy mornings, my allergies it’s low now and my husband and I really we feel so good again, I love it. I have been ordering Ganoderma black coffee for more than a year. I love this coffee because it starts my day off right. It gives you energy even if you didn’t sleep a full 7 or 8 hours, this coffee with give you a lift. I drink 2 packets a day, one in the morning and one in the mid-afternoon to give me a lift for the rest of the evening. I work 2 jobs and it helps me to the rest of the day. I thank God for the discovery of Ganoderma coffee. Ganoderma coffee is by far one of things I am most greatful for on this Thanksgiving day! I will never go back to regular coffee! I love the fact that this type of coffee is actually more healthy than the few benefits that we might get from ordinary coffee. I am trying to decrease the amount of healthy things I consume, while at the same time trying to increase the good things I take in, and Ganoderma coffee is one of the good things I’ve added to my list. I love Ganoderma coffee. I buy the 2 in 1 box, and enjoy every cup. I don’t really care for regular coffee anymore after drinking the Ganoderma coffee. Besides the great flavor, I feel better when I drink it. There are no jittery side effects or energy drops from the caffeine, and yet, I feel like I have more energy and overall better health. My skin is also much more clear, and my stomach feels better when I drink the Ganoderma on a regular basis. My husband introduced me to the coffee shortly after we met 3 years ago. He really likes it because he can only handle a small amount of caffeine. Also, it tastes really great! It is wonderful for a ‘pick me up’ when it is too late for regular coffee. The benefits of the antioxidants are a real bonus as well! Before I knew about GANODERMA / HERBAL Coffee, I was plagued with Alergies and was in trouble with my Sinusitis most of the time. in a cup of coffee. I tried that cup of “Herbal Coffee” and thought nothing of it other than “it was quite bitter” and I put some DARK Chacolate with it for better flavor. About an hour or so later I was breathing better without the problem of being around my CAT or my Golden rod weeds in my back yard. My husband and I have made this a part of our morning breakfast ritual. We have a 2 year old and in addition to taking care of him we work a lot, so the Ganoderma 2 in 1 keeps us going! Gives us energy but in a relaxed way, and helps us stay focused on the millions of tasks we have to do all day, without making us feel jumpy like regular coffee! I love this coffee. I cannot go without it. I went without it for about one week and that is when I notice the difference in how much better I feel when I drink at least one cup a day. I have more energy. I have been drinking Ganoderma coffee for years. It is the only coffee I will drink. The taste is great with the same benefits as regular coffee only but even better! No hi’s and lows from caffiene. A great “natural” energy all day and I sleep like a baby straight through the nite. The first time I let myself run out of gano coffee and went back to drinking regular is when I really noticed the difference. I would toss and turn all nite and get headaches but when my order of gano was delivered, the headaches stopped and slept sound again. Now I don’t take the chance of running out again. I order plenty so I always have it on hand and keep a few packs in my purse! I won’t drink any other coffee! I am very satisfied with this product. It gives me lots of energy and great mental alertness. I plan to be a repeat customer and can’t wait to try the other items. I started with the sample pack and tried it all. Everything was good. I especially liked the tea, it was very mellow, no bitter tea taste. My teenage son likes the Hot Chocolate. I have been drinking the coffee and tea for a couple of months and haven’t had a cup of regular coffee since. I feel great! I’ll be giving gifts to friends very soon. All i can say about 2in 1 Gano Coffee is “i love the real coffee taste”Thanks GANODERMA. I tried the Ganoderma coffee and was very happy with the taste. I am not an instant coffee drinker and was not sure I would like it, I was pleasantly surprised. I did find I had more energy through the day and I am sleeping through the night. I also have much less lower back and foot pain. I will be reordering this coffee. I was introduced to ganoderma coffee a few years ago from a friend who was battleing cancer. His homeopathic dr. took him off all caffeine since it is so highly acidic. My friend loved coffee and the dr told him he could drink this coffee! My friend told me about it and I began to drink it instead of regular…I love it! Would never go back to regular coffee…my cholesterol has lowered under 200 and the adding the ganoderma was the only change I made in my diet routine. Amazing. By the way..my friend is cancer free! Thanks for offering such a great product and for being so easy to work with. I wanted to make my coffee-drinking habit a healthier one, so I thought that ganoderma was a good addition to my other coffee/cappacino in a canister. I mix the two together and get the best of both worlds! Always happy with finding this package on my doorstep. Yummy! I have been drinking this coffee since June, 2011 after a friend in Oregon called me to tell me about it…and I absolutely love it! I honestly cannot go a day without it. That’s the first thing I do every morning..make my Ganoderma 2-in-1 coffee. I can’t stand the taste of any other coffee. This website is easy to use, delivery is super fast and customer service is awesome. Love earning the points too!!!! Great product, great website, great customer service. What else can one ask for? Ty for such a wonderful product, i drink my coffee everyday, and i dont have the caffeine effect like other coffees. Even my teenage son likes to drink a cup every now and then, claims is good! Im a coffee lover and i been around the world and tried every brand possible. The gano is the best, I have lots of energy from it, not speed or unhealthy feelings. Matter of fact i feel younger and vibrant since having it! My wife kind of like that so ty very much gano! I have been purchasing this coffee for about five years and intend to never be without it. it starts my day every it morning. I prefer it with a little sweetener and milk. It makes me feel energized and ready to start my day. It seems to have given my immune system a boost because I am happy to say that I am never sick and feel wonderful. At 66 I don’t look or feel my age and I denfintely believe that using Ganoderma coffee as part of my healthy eating and nutrition program has played a large part. So far the gano coffee has made me a lot healthy and alert, without the caffeine effect, my son started drinking it lately and he llikes it very much, my wife dont drink it yet but she is very happy i do! take a licking and keep ticking! cheerios! Love it with its smooth taste. Do you carry the mushroom extracts? Can drink coffee all day. What else do you carry. I was excited to receive my Ganoderma Coffee! Upon drinking my first cup. It was simply delicious and suprisingly smooth. I did not have the acidic after effects that I usually get following regular coffee. 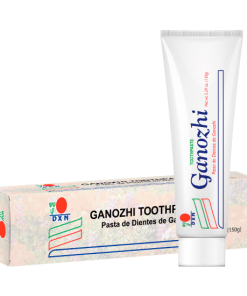 I am looking forward to trying more products by Gano. Great product! Tastes good and, of course, is good for you. Thank you so much for this great product,I love the coffee and the service.I have gone from regular coffee to Ganoderma I dont like the taste of regular coffee, plus Ganoderma gives you so much energy. OH MY SISTER DRINKS IT AND IT CONTROLS THE PAIN IN HER FEET!! Love this coffee and told a couple of friends about it. They love it too because they used cream and sugar. Ganoderma is so smooth that it needs any sugar. My friends love that part. I usually don’t drink instant coffee, but this is so rich that it tastes like specially brewed coffee. My favorite is still the Ganoderma Mocha, but sometimes when I want to drink a bigger mugfull, I add a package of this one. Im really enjoying the coffee! Excellent overall experience from ordering online to receiving the coffee. I love the taste (I have half a sachet at a time) & do feel full of energy after drinking it. Thank you so much & I will certainly be ordering from you again. I have just started using it and I like it so much I have told others about it. I plan on increasing my order to a case in the near future do to the interests of my friends and family. I think you have a really good product and I’m hoping the benefits will help others too! Thank you so much for your excellent service and I look forward to doing a lot of business with you in the future. Me get thru the day. I have travel abroad and had coffee from around the world, strong and good taste have made me keep up with the coffee. I find the gano with both, at excellent levels. I believe i will ccontinue with it. I have also found the my levels of energy are higher with out the jitters and caffeeine bad effects. I know its an aguire taste for it, but once you pass that i feel that i miss it if i dont have it! thank you for such a wonderful product. LONG TIME HAPPY CUSTUMER. SHIPPING IS KIND OF HIGH. My husband introduced me to the coffee when we first met. He is very limited in his caffeine intake and I find that I can easily “overdo” it as well. We can both have a cup in the morning and one after dinner without all the side effects from too much caffeine! We also enjoy the service of ordering it here. The shipment always comes quickly & the points and rewards really make you feel appreciated! I like it because it gives me a little pick me up in the morning without all the side effects of caffeinated coffee. I also love the flavor of the Ganoderma Coffee! It is easy to take with you and when I ordered, it was very fast shipping! LOVING this coffee! I drink it every day. It seems ot help me feel fuller for longer so I haven’t been eating as much. My husband Dan drinks this the most. He enjoys it and says it has a good strong taste. He likes strong coffee. He also said it is really great for a hangover. Doesn’t happen often, but it helped his body recover faster from that. I enjoy this coffee so much. I’m not an instant coffee person, but these Ganoderma products are excellent. I enjoy this on the rare occasion when I don’t want sweet. Sometimes I even mix it with the Ganoderma coffee/mocha. Nice flavour and not as expensive as the other ganoderma brand I was drinking. We love the products, but the shipping prices are a bit steep. If I set up a wholesale account does it cut down the shipping cost? Thank you. Pretty good; provides same boost as coffee, but w/ out the jitters. I will defintely be replacing my morning java with this product. I really enjoy the taste of the coffee and it seems to take away “brain fog.” I am much more clear during the day and without the nervousness that I get from regular coffee. I’ve been telling all my friends about this product. Great taste for intant coffee! Very fast delivery. it does what it says it does. my husband and i have been using it for two years and love the results. I love the Ganoderma coffee. I can drink it all day, at lease 5 cups without the dehydration feeling I get with regular coffee. I have been drinking this product for 4 years now and I love it. The fact that it does not have the caffeine that other coffees have makes a huge difference to me. This product gives me energy without the crash and I believe it is the reason for the change in my bodies PH level, which is a very good thing, has a slight anti aging affect. The prices on this site are the best I have found yet, and well worth it. For a long time I was a folders drinker but now gano coffee is the only kind for me, the green tea is also very good. My wife and I both lost weight when we started this productand we have not been sick hardly at all, its a great immune booster. My husband and I look forward to our breakfast every morning with our Ganoderma black coffee…we like it better than regular brewed or Starbucks type coffees! Was happy to learn it also has a lot of iron so we know we’re getting extra nutrition that’s hard to get elsewhere, in addition to all the other great Gano benefits. What a great coffee, I rarely drink regular coffee because It gets my anxiety level up, Not Ganoderma coffe thought! I love this stuff, I felt energized and it gave me a great energy boost! the only part I dont like is the cost.. I like the Gano 2-in-1 Cafe Style Black Coffee with Ganoderma it is very good I make it Indian style half milk and half water. The Gano Cocoa “Hot Chocolate” with Ganoderma is good but I purchased this for my wife and she has allegries to mushrooms so not a good choice. 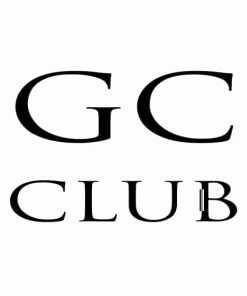 The Gano Coffee Club was a little disappointing I thought that I would get a little more then just a cup with a few samples for the money. Simply stated, I have had the flu every year that I can remember since 1965. Then had it twice a year since 1988 or thereabouts. I started drinking gano six years ago and haven’t had the flu again. This, I believe is no coincidence, so I have to give the credit to the product. The only negative factor is that when I did have the flu, I got a lot of reading done. I hold Gano responsible for my limited acadamia since then. Thanks for the good product. I prefer the Gano-enhanced coffees over the “other” brands for two main reasons. If I purchase the coffee by the box, its cheaper per cup. If I drink the gano-enhanced coffee, its way better for you than Starbucks! I have been a “coffee snob” for most of my life, and recenlty had to quite the caffeine due to health reasons. My nutrionist introduced me to Gano and said it would not effect me the same way regular coffee does. At first I wasnt crazy about it, as I was used to Starbucks strong flavors. But after breaking my caffeine addiction, I turned to Gano with a new attitude and have been “hooked” ever since. With Gano, I do not have the highs and lows as I used to get from Starbucks nor any withdrawals or anxiety if I dont have a cup. For a change of pace and flavour, I also enjoy the Gano Mocha! signed, an adoring Gano fan! This has been a Godsend! I have had mercury toxicity for many years (yes I had them removed but the toxin takes years to get out of your body). I wake up with very low energy and sometimes low in spirit too until I drink just 1/2 a pkg. in about 4 oz. of water. I feel transformed energy-wise and mentally/emotionally very positive. It works so well that I can’t yet drink the whole pkg. in a day as it detoxifies too much and I feel it the next day. For most people however, you could drink the whole pkg.—maybe just in 2 cups. This mushroom was so expensive in pill form at the store, I had never tried it before a friend gave me a sample of the ganoderma 2 in 1 coffee. It’s easy on the kidneys (the mushroom apparently buffers the acid) and the “buzz” is a healthy, long-lasting one—not like just coffee alone. I suspect it works synergistically with the coffee, which is also a great anti-oxidant if you don’t overdo it. I greatly value this product and highly recommend it! I can’t tell you how much I love this healthy coffee. It gives me a burst of energy every morning and throughout the day. I work 2 jobs and I need my Ganoderma 2-1 coffee beverage to give me extra energy. I recommend this healthy coffee to everyone who is a busy on-the-go person. I LOVE the coffee and plan to join the club by Nov as my funds are low at this time. I am telling others about this healthy coffee and will sample the other products as well and then build my customer list. This is good coffee for being instant and with ganoderma. You cannot tell that it contains anything else besides coffee. It’s rich and aromatic, best, quickest way to make coffee. I was very skeptical about this product even though it was recommended by a friend. I was very surprised by the flavor which I enjoy very much. Then after about one week of drinking one cup a day my husband surprised me by saying that I seemed so content lately and not stressed when I came home from work. I thought it can’t be the mushrooms. I wasn’t able to drink the coffee for two days and then I was able to sit down and enjoy a cup and that’s when I noticed the difference. It just seem to make me calmer and to actually be pleased with myself. I also didn’t seemed to get so stressed. I don’t know if this is possible and if it really is the mushrooms but everyone in my family is going to get a starter pak for Christmas. Thank you. I really like this ganoderma coffee. It tastes just like regular coffee, but without the side effects. No jitters! I think I’m also more aware and clearer in my mind since I started drinking it. my kitchen is to small for a coffee maker so your coffee for me is just like having a coffee maker with the grinder and all. Taste great as for my health when i drink other coffee i had problems with my breast hurting with this coffee i have no pain at all. It’s the best ganocoffee i have used. I used 4 in one, for me the best option because included sugar and cremore. This is the same, but without that, anyway have strong taste. Others are not so strong and pure. this is my favorite of all the gano coffee’s. i was a starbuck brat for many years, and had to quit caffeine for health reasons. After a horrible detox from caffeine, this Gano product is my healhty choice to replace my sacred morning cup of coffee. I love this coffee as is. I love this coffee even more “jazzed up” when the heat is around 100 degrees. I heat about 1/2 cup water, add two packets of Ganoderma coffee, two packets of Sweet and Low, some sugar free caramel ice cream topping and finish with Silk Lite Soy Milk. For summertime, this is a real treat. In the wintertime; however, I love the coffee simply brewed. This coffee tastes great!!! I am in graduate school pursuing my Ph.D, and this coffee has helped me to have improved mental clarity when studying!!! Besides being more focused, I also have more energy when drinking this coffee!!! I love the fact that I don’t experience that ‘crash’ feeling that happens when drinking regular coffee!!! I don’t drink regular coffee anymore, because I have really noticed the difference since I have been drinking ganoderma coffee! I have lost 12 pounds, in the past 3 months, and didn’t even change my diet!!! There are times that my appetite is decreased, but I don’t even feel hungry the majority of the time! This is a great buyers choice to have on the shelf!!! This coffee is fantastic. I work a late shift and it gives a better boost than regular coffee. I especially like it because according to some of the reviews I’ve read, the caffeine in ganoderma coffee is lower than the regular black coffee. I received my product within the time frame as promised and plan to be a returning customer as well as tell others about discounted solutions swift business. Our Ganoderma Coffee company offers healthy, affordable and great tasting beverages that contain Reishi, also known as Ganoderma Lucidum or Lingzhi. Stay informed about our products, special newsletter coupons, and more!